Traditional talk therapy is incredibly helpful for many, many people struggling with a variety of social, emotional, behavioral and mental health issues. However, we also need to recognize that it might not be the best/only intervention for everyone. 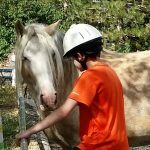 Specifically, children and teens who have may have trouble articulating their feelings, or those who demonstrate a resistance to talking about their issues, may benefit from other, more ‘hands on’ programs. This blog in the the fix – addiction and recovery, straight up takes a look at a couple of other therapy options that can help with healing. 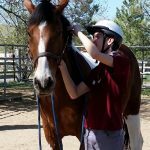 We know from personal experience how work with horses can help. 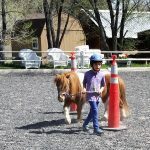 At Nevada Equine Assisted Therapy children, teens and adults gain confidence while leading, grooming and riding their equine partner (the horse!) They build a relationship based on mutual respect and cooperation as they move through a variety of experiences. Working one-on-one with a Qualified Mental Health Associate, focused on the client’s specific goals, clients may learn about being a good leader, appropriately using levels of pressure, being a good communicator (and listener!) and so much more. We are here to help. If you know someone who is struggling, give us a call or send us an email. We will schedule a time for you to visit the ranch. 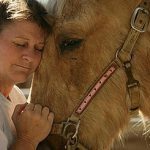 We will show you around, introduce our wonderful herd, learn more about what you are dealing with and share how we may be able to help. This entry was posted in Addiction, ADHD, Anxiety Disorders, Asperger's, Autism, Bipolar, Children's issues, Depression, Eating Disorders, Grief, Mental Health, OCD, ODD, Other challenges, Other programs, PTSD, Reactive Attachment Disorder, Schizophrenia, Seniors Program, Sensory processing issues, Teens, Trauma. Bookmark the permalink.